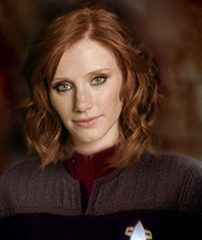 Shaya Aleston is a former Starfleet Officer, who held the rank of Lieutenant until she resigned in 2383. 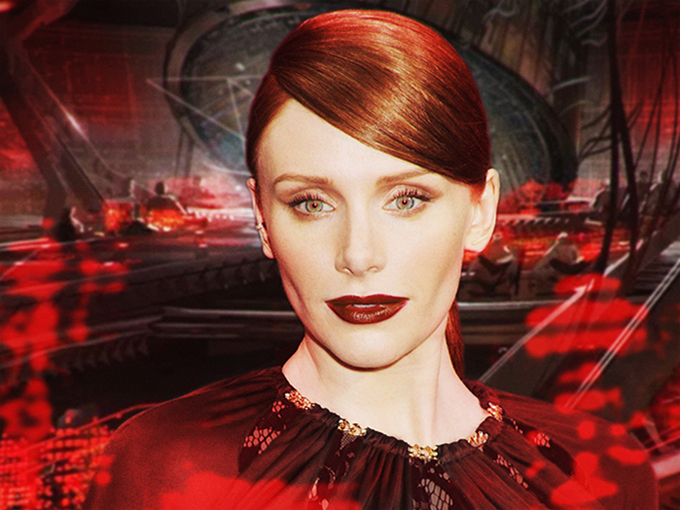 Prior to this, she was assigned to Project Infinite, assisting the Science Department with the vast catalogue of data generated by its study of The Void, something her eidetic memory was perfectly suited to. Aleston has not had the easiest of lives, first becoming embroiled in a conspiracy within Starfleet which threatened to end her career: it was at this low point that Rear Admiral Novaq approached her about working for Project Infinite. During her time there, she became infected with the Cesere virus, which normally turns the infected into a host for a Cesere embryo. Owing to the unusual circumstances of her infection and subsequent medical treatment, the virus instead mutated and adapted her DNA, giving her the benefit of the Cesere's natural enhanced immune and regenerative systems, augmented strength and agility. She also shares a strong telepathic connection with other Cesere. However, these changes did not come without a cost: Aleston accidentally killed her best friend in a fit of deluded rage during her painful physical (and mental) adjustment to the virus. That, coupled with the betrayal of her physician - who was more interested in turning her into a weapon, rather than curing her (an act for which she was later killed by Aleston) - and her new found connection to the Cesere, eventually pushed her away from those closest to her. This included a burgeoning relationship with Abram Daggett, with whom she formed a close - if complex - bond, during what had been the most tumultuous time in her life.